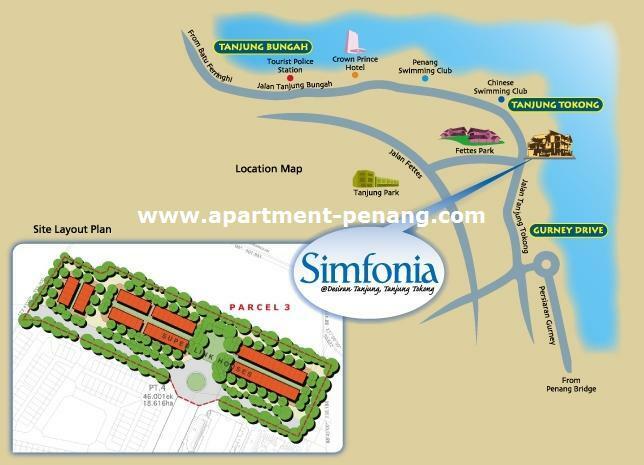 Simfonia is located in Tanjung Tokong, the prime residential area in Penang. It is only 5 minutes drive from the famous Gurney Drive and just a stone throw away from the Penang Island Plaza. Simfonia consists of three storey super-link courtyard home featuring a modern design with spacious layout, 24 feet width and high ceiling. There are 6 bedrooms in each unit. How much and when it lauch? The last time i heard they were sold out. When UDA had their roadshow in Gurney PLZ. I believe their launching price was ard rm600-rm700k,and heard recently all sold out,very very good response. Anyone has any idea when UDA will be launching the 2nd phase? We CIMB Bank ties up with UDA for our CLUB customer to preview the units on this Saturday, 18 July 09. 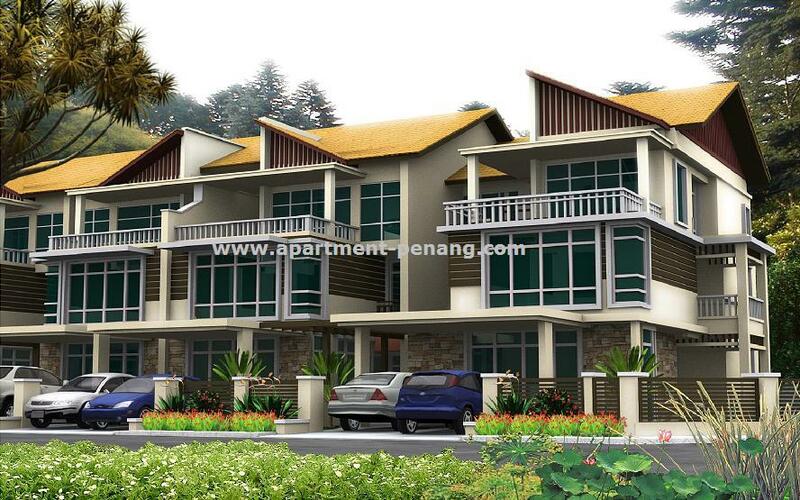 Thouse interested may call Angeline at 019-4721704.
any idea on the pricing? Yes, RM900K plus minus. You may want to email to me at kooieng.quah@cimb.com so that I can email you the invitation for this Saturday. Anyway anyone interested in property at Butterworth? Uda still have a few units ALAMAYA at Jalan Baru very near to the Penang bridge. Selling RM500K++. If you get loan of RM500K and above from CIMB Bank you are automatic a CIMB CLUB member (prefered banking customer). Any idea if there are still units available here? If so, how much are they? Thanks. Buyers are waiting for the booking date. But UDA still refuse to release the date. Haiya..
Maybe they are waiting for the chance to sell the homes at RM 1 million each! if not mistaken, this is the leasehold project rite? After all, leasehold for the landed is practically convertable if compare to condo/strata office. theBrezza - Out of curiosity... if they launch at RM 1mil for the intermediate, would you still bite? Haha, i did my homework, including networking with their top guys. The price is right for me. Well I don't know what's the price you have in mind though. So will you still buy at RM 1mil each? Hi, any idea when is the launch date for 2nd phase? please get your check ready 1% -RM8900. the launching price 890,000 for facing west unit, 910,000 for facing east unit. Latest news. Simfonia II launched recently. All 26 units three storey terrace houses sold out. Thats because they had a special date for Bumis only. The next day i received phone calls from UDA saying that the buyers are willing to let it go for a RM20,000 premium. most likely it will. they are trying to convert the whole piece of land, including the condo and the areas involving the kampung people. So, as soon as they reach an agreement with the "kampung" people then the whole piece of land would be freehold. The rest enters your pocket? Total 3 units in my listing. April 27, 2010 at 5:43 PMTan H.H. is this a freehold or leasehold land? what is the construction stage? Tan, this is leasehold but it's in the progress for converting to freehold. First phase already completed, waiting for OC (estimated next month). Second phase just start and estimate complete next year. 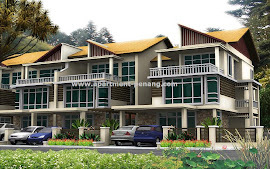 Iza, maximum selling price for original intermediate unit Simfonia phase 2 is RM1.5 mil. Some others sell at 1.4mil and 1.35 mil. Serious looking for a unit in simfonia...any owner intend to let go ? kindly email awktsp@gmail.com (only direct owner) thanks!